'Well. Does one cut now...or simply thrust ? A weapon for thrusting or cutting? Or both? THRUSTING is used to inflict a penetrating wound which will be mortal if delivered to the torso or cranium and is necessary to pierce armour or when using a spear from horseback where the horse's motion is added to the rider's attack. Little blood may result from such wounds but instant immobilisation can result. Thrusts to limbs will damage and cut muscles or break bones and disable them. CUTTING is used to inflict extensive but shallow wounds when a thrust is not possible. The face, throat or extremities can be slashed, the torso if unprotected. A lot of blood will be produced by such wounds but they must be delivered to the throat or used to disable limbs to put an opponent out of a fight. In his Book of the Sword, Sir Richard Burton calculates that a curved blade does four times as much damage as a straight one, cut for cut. A SPEAR is essentially a pointed stick. The weapon is a long-reaching way of stabbing the opponent. Examining surviving spearheads one can see there is a range of forms. At one extreme are POINTS which are only sharp at the tip and have no sharp edges. At the other extreme are BLADES which are pointed and sharp at the tip but also have flattened edges which are sharpened to cut. Curved blades increase the cutting effect of a uni-directional movement: a thrust is 'converted' to a cut. As soon as the first flint spearheads appear we can see the spear is equipped with cutting edges as well as a stabbing point. 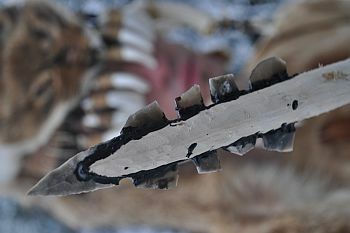 Bone and wooden spearheads were fitted with flint and obsidian microliths to provide cutting edges and as soon as the technique was perfected entire flint blades appear. Between these two extreme forms are many, or perhaps most spearheads. They are pointed and sharp at the tip AND have sharp edges. The edges run all the way between the socket and the tip on a bladed spear. On some spears only the forward-facing edges are sharpened. On others the rearward-facing edges are also sharpened. Any spear with an edge can cut. The forward edges cut as the weapon is thrust and the rearward edges cut as the weapon is pulled back. Any lateral movement of the weapon can deliver a cut too. 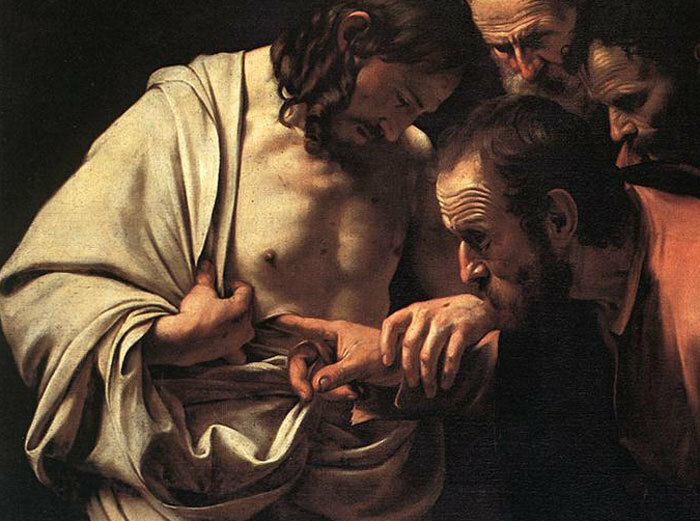 Inflicted either by the tip or by the edges. 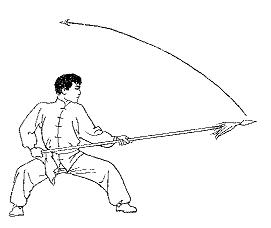 Chinese spear fighting includes specific technique for cutting which rapidly flicks the tip and edges of the spear left and right on the body of the target. 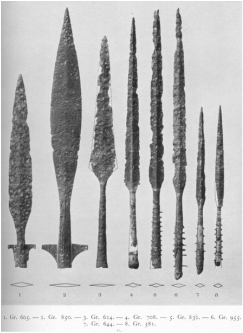 Some spearheads are deliberately made to stab and cut. They have a narrow point and then rapidly broaden to edges which cut even if the tip has missed the opponent or can be used to swipe and cut. 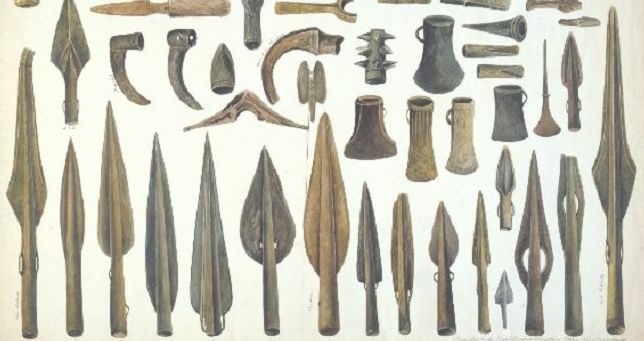 The gear of the hundred or so warriors found with the Hjørtspring war canoe ( c. 350BC ) includes a metal blade and two bone points for each man. This is a light spear for fighting - cut and thrust, and a pair of javelins - piercing points., more disposable. 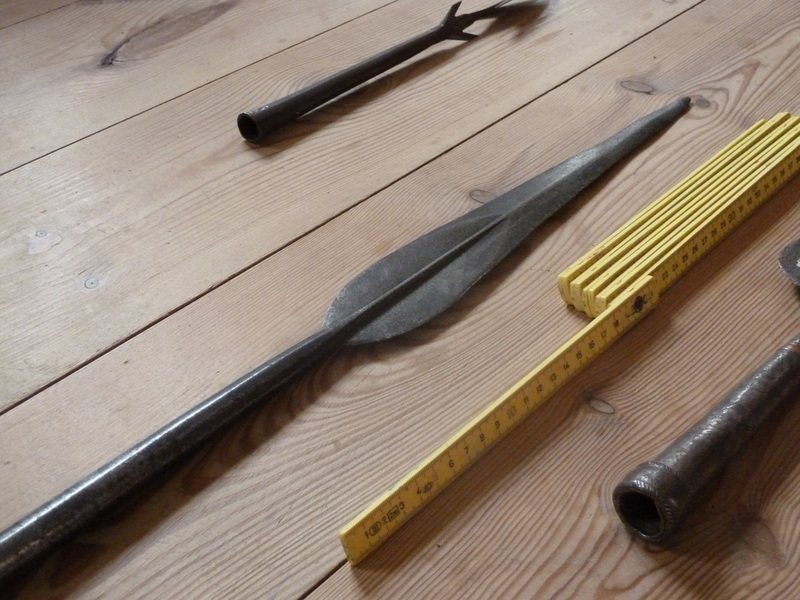 Looking at Viking Period weapons we can find both blades and points as well as most intermediate types. 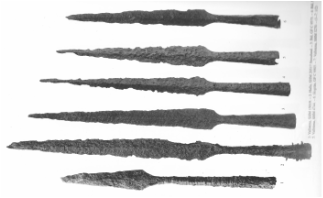 These tenth century examples from Shuskovina in western Russia show (RIGHT TO LEFT) two long slim points, a blade and a very narrow point. From Gotland we have a similar variety.Here are a range of blades. From Luistari in Finland the common varieties from the Viking Age are found. Blades and javelin points. Later examples are long slim points. There are many points found from the later graves in Gotland and there are many later examples which are long slim blades (or finely bladed points) . This may reflect a response to increases in armour protection. Mail will protect against a glancing blow but can be pierced by a strong thrust from a point which can expand and snap rings. LONG BLADES (NAT.MUS. CPH) NOTE REAR EDGES NOT SHARP. ANOMALIES : There is no such weapon as a 'swordblade on a stick'. This is a mis-interpretation of weapons from medieval Icelandic sagas which are in fact halberds and conflation with Swanton's type G-H spearheads - which are only found in earlier English contexts. Most spearheads made for modern reenactment are crude and heavy in comparison to originals. Spearheads come in many forms but the majority have cutting edges AND sharp points. Throwing spears tend to be points, light and heavy spears tend to be blades. Very heavy pikes and cavalry lances tend to be points. Weapons tend to be highly functional because the user's life depends upon them. Edges must have been there to cut. Spears are used mainly with a thrusting motion because they are primarily reaching-weapons but when the chance arose they could deliver a slashing or drawn cut. 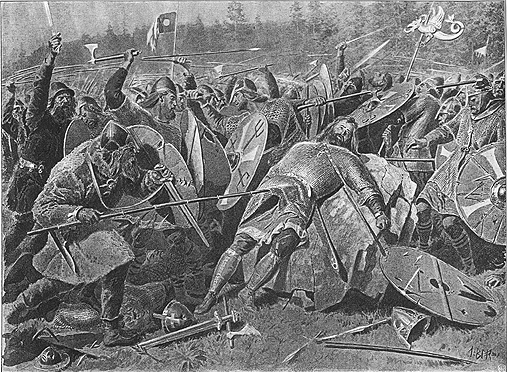 In post-Viking times many pole-arms appear in warfare but these are not spears. The concept of a specialised cutting spear is a misconception. The majority of spears can cut AND thrust. Apart from later broad-bladed axes, polearms intended mainly for cutting are not around in the Viking Age. 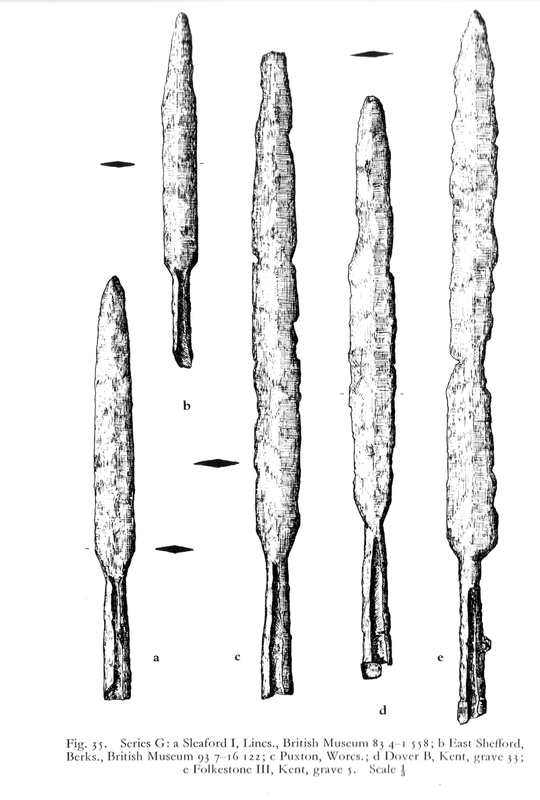 Watercolour illustration of Bropnze Age spearheads. Some with all edges sharp, others with blunt rear edge. 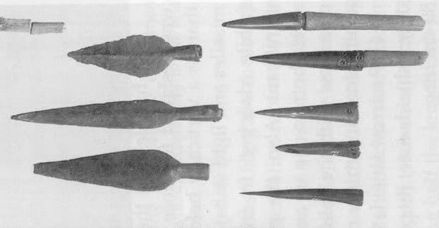 Sudanese spearhead c.1875. Rear edges very sharp. African leaf-shaped spearhead c.1900. Whole edge length is sharpened. Spear sets from Hjørtspring c. 300BC. 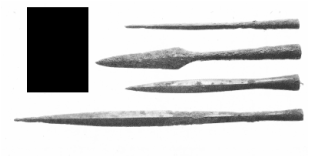 Each warrior had a small iron spearhead (left) and two bone points (right).